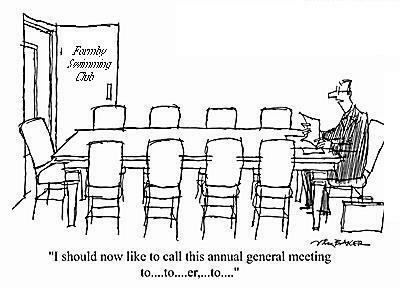 ….to everyone who attended the AGM this week on Tuesday evening. There were over 40 people at the meeting with representation from all teams and sections. As an aside, this is a greater turnout than AWMA get for their AGM across all 12 sporting sections at Adel! It was great to hear of the success over the last season and the plans to take the club forward in the next few years, with a focus on improving facilities so off pitch success can complement the recent on pitch success all sections have had over the last 3 seasons. For those not able to attend, the minutes will be shared with members in due course but the key proposal at the meeting regarding the changes to how we pay match fees and annual subscriptions was overwhelmingly approved by those in attendance so Treasurer Sam Jackson will be working with AWMA to implement the changes ahead of the new season in September. If you can’t recall what this means then I am sure Sam will be happy to send you a reminder but broadly speaking we are moving to a system whereby you pay a monthly subscription to cover membership, match fees and summer league so as to avoid lots of cash being handed around, ease the pressure on skippers to collect match fees and to ensure a fairer and simple approach generally. A big thank you to Sam who has spent a great deal of time in drafting the proposal and making sure all eventualities are catered for. A number of committee members and skippers are stepping down from their positions, some after several years of outstanding service to the club on and off the pitch. A huge thank you to Paul Lewis, Anna Blyth, Katy Blyth, Rosh McEwan, Jaclyn Smith for their time on the Executive Committee as well as others like Tom Beale, Ffion Scott and Sophie Powley who are stepping down as skippers. But for every leaver there is a new opportunity and its great to welcome some new blood to the Committee with Tom Beale and Gabby Nusenbaum taking over as Mens and Ladies Club Captains, Hannah Fisk stepping up to be the new Secretary, Ellie Pritchard as the new Ladies Social Secretary and Megan Curtiss overseeing the Social Media and Communication role. We also welcome and wish every success to new skippers April Fowden (L1), Jane Holmes (L2), Zoe Schofield (L5) and Ian Mitchell (M3). I am also delighted to say the AGM approved the appointment of our new President, Ian “Sniffer” Phillips alongside 2 new Vice Presidents in David Akroyd and Jenny Hopkins – so that’s at least 3 rounds of drinks sorted for the end of season dinner! Thank you to outgoing President Poll for his 3 year stint overseeing the most successful period for the club on the pitch. Must be a link to his umpiring…..
Hope to see as many of you as possible at the end of season dinner on 11th May and at summer league games. Interested in Mixed Summer League?